At Matomo we make use of dozens of free(dom) software tools built by creative developers for the benefit of humanity. We would like to give credit back to these amazing projects, that we use for Matomo and Matomo.org. Alwaysdata provides Matomo with fast and reliable web hosting for all services hosted on matomo.org. Thanks to AlwaysData, the Matomo team can focus on supporting Matomo and coding new exciting features: we know that all services in *.matomo.org are in very good hands. PclZip library offers compression and extraction functions for Zip formatted archives (WinZip, PKZIP). We use PclZip to unzip the latest.zip release file in the Matomo (Piwik) one click auto update. PHPUnit is the de-facto standard for unit testing in PHP projects. It provides both a framework that makes the writing of tests easy as well as the functionality to easily run the tests and analyse their results. Our unit tests, integration tests are written using PHPUnit, and our Quality Assurance workflow depends on this awesome library. GitHub provides a fast and powerful platform for the developer community to thrive. We use GitHub for our GIT repository hosting and we enjoy the reliability, Pull Requests feature, and we thank them for providing this awesome service to open source projects. TCPDF is a PHP class for generating PDF documents. TCPDF is included in thousands of CMS and Web applications, including Matomo (Piwik). This library helps us generate beautiful custom PDF reports with your analytics data. Zend Framework is an open source framework for developing web applications and services. It uses 100% object-oriented code and utilises most of the new features of PHP 5.3, namely namespaces, late static binding, lambda functions and closures. Matomo (Piwik) relies on sub-modules of this framework with success. pChart is a PHP library that will help you to create anti-aliased charts or pictures directly from your web server. PChart is used to generate the static image graphs: these graphs are displayed in the Email reports and in Matomo Mobile. Python is a programming language that lets you work more quickly and integrate your systems more effectively. Matomo (Piwik) is written in PHP but we also recognize the greatness of Python. In particular, our Log Analytics tool is written in Python and provides a powerful framework for importing any server log. PHP and Python are two amazing technologies that Matomo relies on. This plugin generates static html files for the piwik.org website. After a html file is generated your webserver will serve that file instead of processing the scripts every time. It makes the website piwik.org faster! Kartograph is a simple and lightweight framework for building interactive map applications without Google Maps or any other mapping service. It was created with the needs of designers and data journalists in mind. Gregor, a Matomo (Piwik) core team member, created Kartograph specifically for the beautiful Visitor maps and Real-time visitors map. PHP is a server-side scripting language designed for web development but also used as a general-purpose programming language. PHP is installed on more than 244 million websites and 2.1 million web servers. Matomo (Piwik) is built in PHP5 and Matomo 2.0 will require at least PHP 5.3 to benefit from the latest features, including memory and performance improvements. 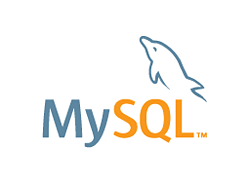 MySQL is the world’s most popular open source database, enabling the cost-effective delivery of reliable, high-performance and scalable Web-based and embedded database applications. Matomo (Piwik) services at piwik.org and the Matomo software runs on MySQL database. The Apache Software Foundation provides support for the Apache community of open-source software projects, which provide software products for the public good. Apache is the most popular web server out there, easy to configure and with great documentation. Apache powers piwik.org! Travis CI is a Hosted Continuous Integration Platform, free for the Open Source Community. Travis executes our thousands of tests after each commit to the Git repository. If the build fails, a notification is sent to the committer and the piwik-builds mailing list. This gives devs rapid feedback so we can keep the builds green and stay agile. WordPress is a CMS and publishing platform, that powers piwik.org website. It is also a great source of inspiration for Matomo (Piwik), in terms of usability and community management. They are a model to follow, especially the success of their Plugins Repository and Developer Community, which we hope to emulate with Matomo 2.0! Linux is an operating system that evolved from a kernel created by Linus Torvalds when he was a student at the University of Helsinki. Linux is meant to be used as an alternative to other operating systems, such as Windows or Mac OS. Linux powers most of the web, including our servers and professional services: it is awesome.